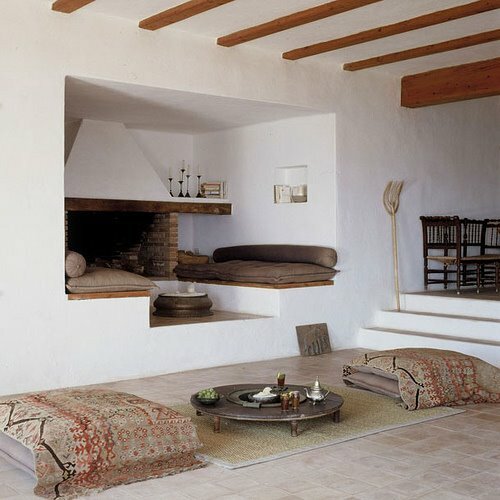 Photos via inside (photo above is at insideinside.tumblr.com), one of the best curated tumblelogs on tumblr. Well-named, also. And see its sister site, outside, which is equally good. My apologies for not knowing the name of the photographers, owners or designers behind these photos. 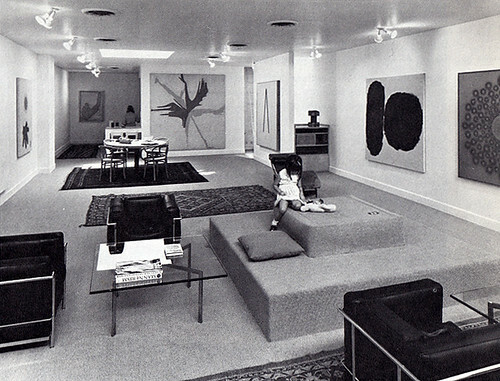 Above, the 1970s modern two-level platform in painter Frank Stella’s loft, from the classic book Inside Today’s Home. Below, a recent photo of the renovated 1950s conversation pit in the Number 31 Hotel in Dublin. Maybe it’s because I grew up around a hip artist aunt whose 60s/70s handmade house had a seating platform in it, but I am mourning the disappearance of the freeform seating arrangement. This post is sort of a follow-up to a previous post with a similar thesis: that the 60s and 70s aren’t dead, they’re alive and well and living on tumblr. These photos of geodesic dome interiors and exteriors are just a small selection from randomfriendly, nomadicway, julesandnicho, standardgrey and cerebralmuseum. More houses by Paul Rudolph. I’m not sure why I like him so much; maybe it’s the feeling that every space is designed for a party, or the use of white, or that he went so glam/space age in the 60s and 70s. 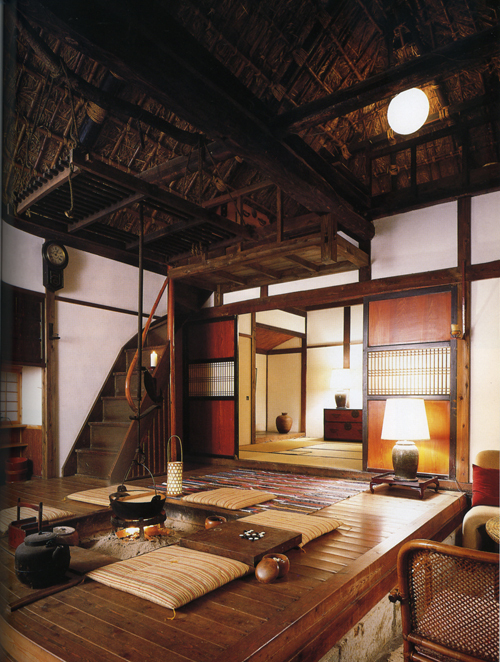 I like all the low Japanese-style seating, often set in one-step-deep conversation pits.